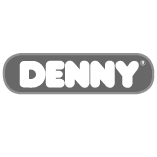 To re-brand & re-position Denny’s processed food range. large range of soups, cook-in sauces, curry pastes, pasta sauces, pasta bakes and pour over sauces going largely unnoticed by the consumer. Main stream competitors dominating the market. Difficulty standing out in cluttered retail environment. Packaging lacked appetite appeal and on-shelf presence. This campaign pledged 50c for every can of soup sold, donating this value to Foodbank. Also making use of extensive PR to push Denny's philanthropic initiative. The updated branding and packaging had a dramatic effect in the marketplace. An overall increase in sales throughout all categories - with some products increasing their sales up to 180%. The lowest increase within a category was recorded at 20%. The initial promotional campaign was also very successful - with thousands of South Africans entering the competition online. The final result was a database of more than 25 000 entrants which could now be used for future marketing campaigns. The promotion also helped to educate consumers and make them aware of the extensive range of Denny products. The Denny "Soup2Give" campaign ushered in a new era in the Denny brand personality. No longer was Denny just trying to sell products - they were giving back to the community and feeding hungry kids during winter.The campaign was a great success with Denny donating a total of R200 000 worth of soup to Foodbank. *The public relations arm of this "Soup2Give" campaign initiative secured a Prism award for outstanding PR.